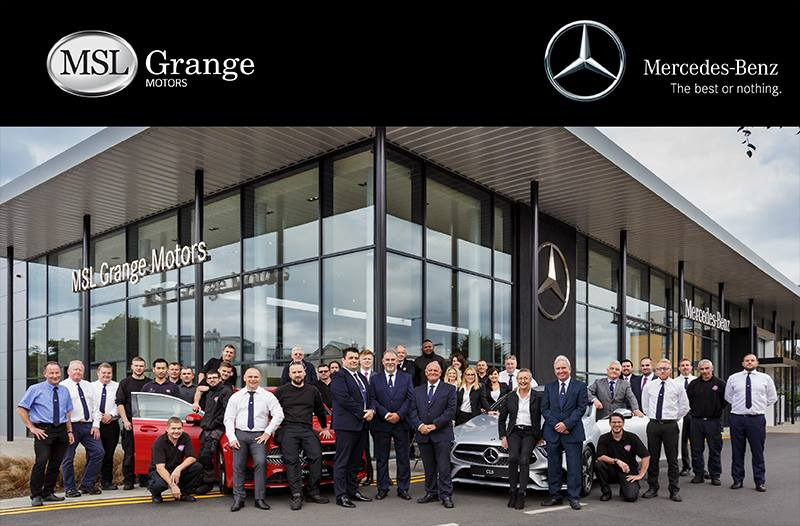 MSL Grange Motors wishes to recruit an Experienced Sales Person to join our Mercedes-Benz team. MSL Grange Motors, part of the MSL Group of retail car dealers, opened as a retail operation in 1964 and we are proud to have been in business for over 50 years in Deansgrange. However, due to the success of this outlet and the continued support of our loyal customers we moved to a larger premise on Pottery Road in December 2017. At this new location is a spacious, twenty car showroom which houses a wide selection of quality used cars as well as displaying the extensive new Mercedes-Benz model range. A career at MSL Motor Group is just that – a career. Having been involved with the Irish Motor Industry since 1959 we know and understand the value in having exceptional people on our team – our staff are at the very core of our business and we value them immensely. Achieving maximum profitability on the sales by selling new and Certified Mercedes-Benz and promoting finance, insurance and auxiliary products. Providing exceptional customer service throughout the sales process so all customer expectations are met, if not exceeded. Building a strong rapport with customers visiting the dealership and proactively seeking to find new opportunities for MSL Grange Motors outside the showroom environment. Building and developing a robust product knowledge of the Mercedes-Benz brand whilst keeping up to date of changes or amendments to the current product line up. Implement the MSL sales process consistently. Meeting new volume and model mix targets set each year by the company. Meeting used car targets set each year. Meeting targets for outbound calls to prospective customers daily, weekly, monthly. Have a proven track record in sales in the motor industry. Be proactive and target orientated. Excel at understanding, anticipating and meeting customer needs. Exhibit excellent communication, negotiation and interpersonal skills. Have strong organisational and planning skills, with excellent attention to detail. Possess good administration and IT skills. Hold a full, valid and current driving licence. Please outline your relevant experience for this role. Have you worked in a Main Dealer before? Do you currently have a full, valid driving licence which legally permits you to drive in Ireland?